​In February 2016 the Ballast Quay website, received an email from Robert Coates, organist of the Church at Aukra, on the Island of Gossa, enquiring about William George Bracegirdle and the historical significance of a Bible gifted by him and placed on the altar of the Aukra kyrkje (church) in Norway. My initial reaction was that the Bible was given as thanks for assistance rendered by the Norwegians towards fishermen in distress. The signature is definitely 'our' William, as I have a sample written around that time from documents received from Morden College Archives in Blackheath. Norway had declared its independence from Denmark on 17 May 1814 and adopted a new constitution. However, international circumstances decided that Norway was ceded to Sweden, a union that was only concluded in 1905. 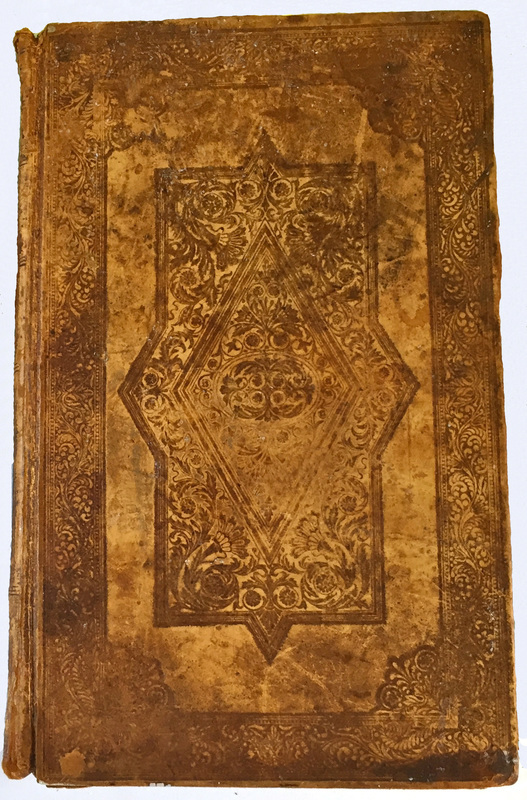 Bibles were scarce and much needed in Norway. 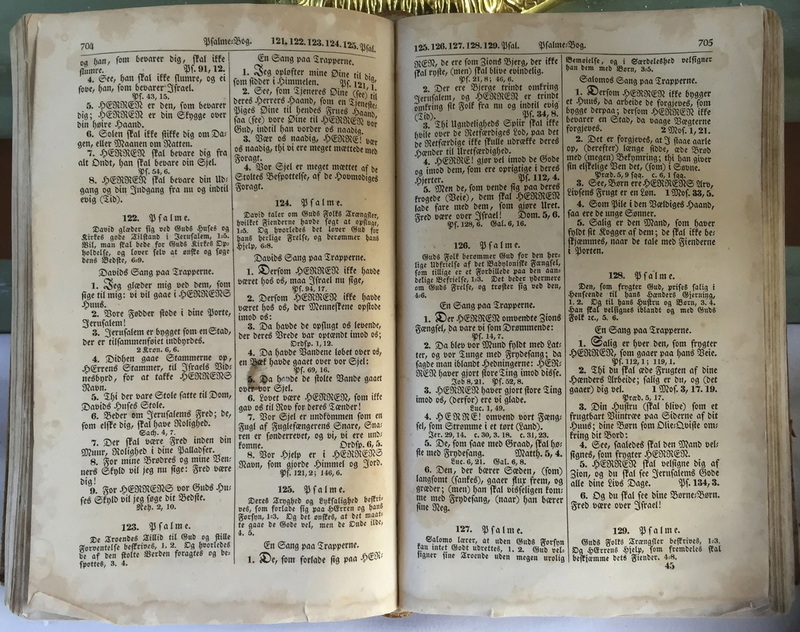 From 1816 early editions were in Danish and it was not until many years later the Bible was translated into the two local Norwegian languages. The British lobster vessels were in Norway from March until June along the western coast. They also functioned as 'Bible boats', from Stavanger to Bergen and Alesund. 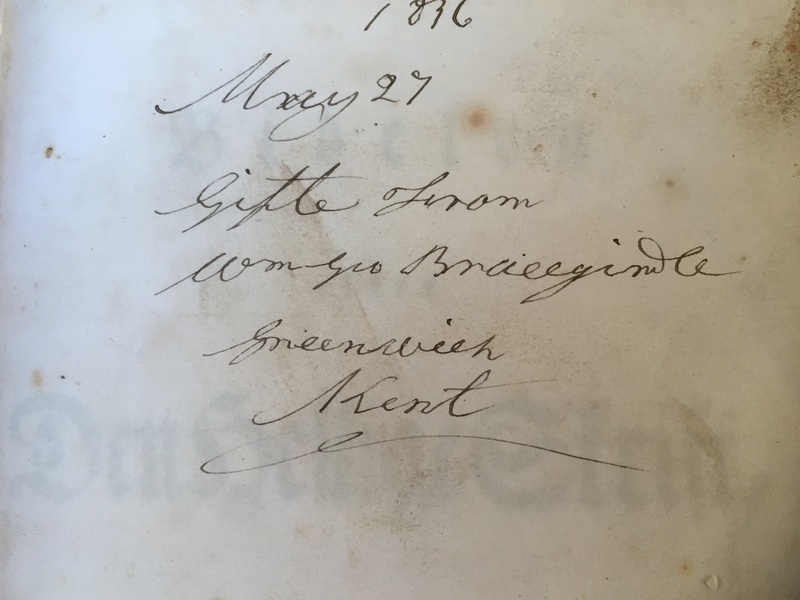 In 1829 the British and Foreign Bible Society got a letter of thanks from a fisherman from Sandøy (close to Aukra) and the letter was delivered to the Society by Mr. Bracegirdle. The letter is kept in the archives of the British and Foreign Bible Society in London. 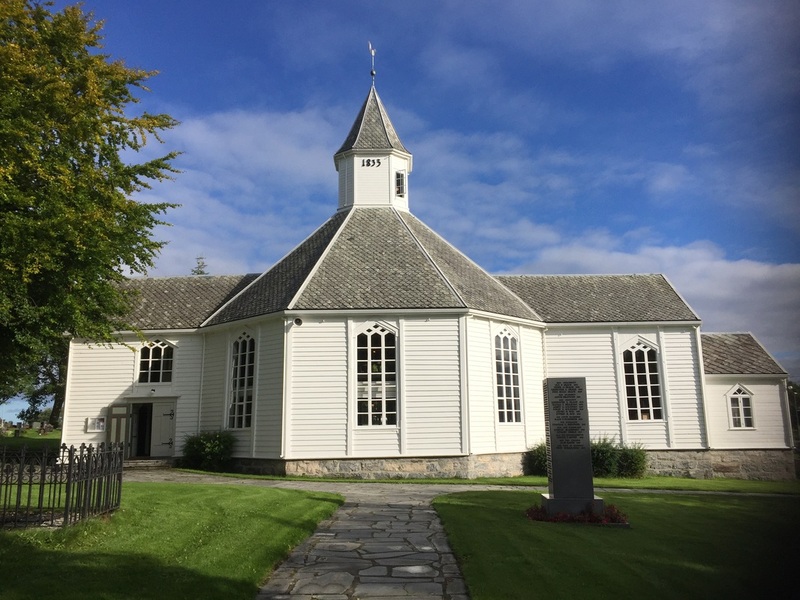 A Bible Society in Stavanger was in contact with the the British and Foreign Bible Society. Over 5,000 bibles were transported from Harwich to Stavanger and then sent further up the coast to Norway. The newspapers from that area of Norway in 1835 are very scarce and we don’t have any real sources to current events from that period. The church in Aukra was struck by lightning in 1835 and burned to the ground. The Bible gift may very well be related to that event. It is not mentioned in the book ‘Aukra Church 150 years'. Unfortunately my enquiry to the British and Foreign Bible Society failed to trace the referenced letter in their archives. The new Aukra kyrkje was rebuilt in 1835. From information I have the kyrkje had been struck by lightning and burnt down several times in the past. Current photos show a white painted wooden building in the most picturesque location. A lovely place to visit! What is most interesting is the fact that British fishermen were being of assistance to Norway in providing much-needed Bibles. ​It also discloses another side of 'our' William’s character, while confirming earlier evidence of his widespread fishing activities. Why lobsters? William’s fishing enterprise at Ballast Quay is quoted in one trade directory as a 'Wholesale Fishmonger'. From this we deduce that he sold a range of fish, from oysters gathered in season from centres like Whitstable, whitebait for the beloved whitebait suppers, herring, cod both fresh and salted (the fresh probably caught on lines and transported back to Greenwich in specially designed tanks open to the sea) and lobsters. The very best lobsters came from Norway in Scandinavia and would have attracted premium prices, even though there were lobsters caught around the coasts of the United Kingdom. These were purchased from the local fishermen in season, and carried live back across the rough waters of the North Sea to be held in lobster ‘chests’ at Holehaven on Canvey Island at the mouth of the Thames Estuary. Here the water was cleaner than upriver, where the growth of industry had already had an impact on the environment and in particular on the quality of the Thames water. 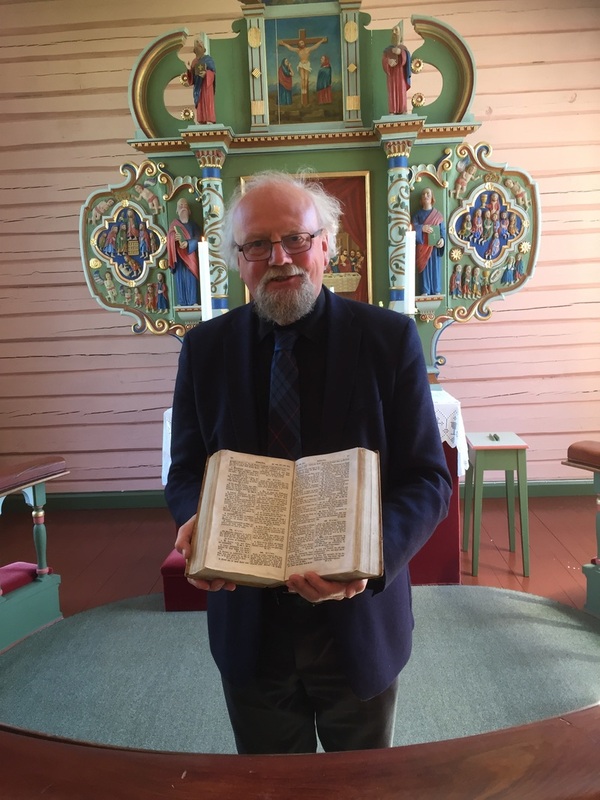 Robert Coates, organist of the Aukra Kyrkje, holding the Bracegirdle Bible. Thanks to his enquiry we now have another important piece of the story of William George Bracegirdle.